theMART — Valerio Dewalt Train Associates, Inc. The Merchandise Mart, an iconic structure on the north bank of the Chicago River is in the process of transforming its tenant base. High tech companies, like Motorola and Yelp, find the large floor plates of its office floors are ideal for their needs. 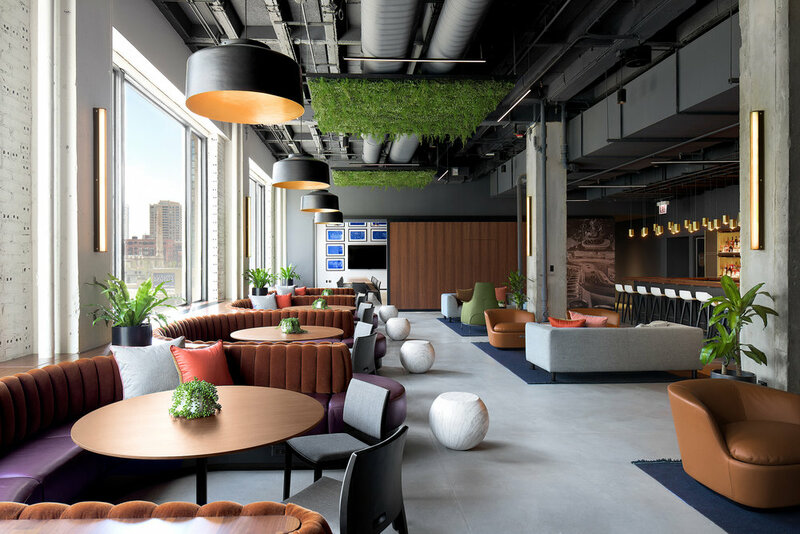 With these new tenants in mind and rebranded as theMART, an ambitious renovation of its lower floors was under taken to provide shared spaces targeted at the young employees of these companies. The work, a collaboration between Valerio Dewalt Train and A+I, includes an insertion of a 200-seat grand stair where people meet for lunch or hold a flash event, the 116-seat multi-purpose DMK Restaurant and Lounge at the top of the stair, a 600-seat multi-purpose food hall, the River Drive Public Terrace and a new reception / information desk. 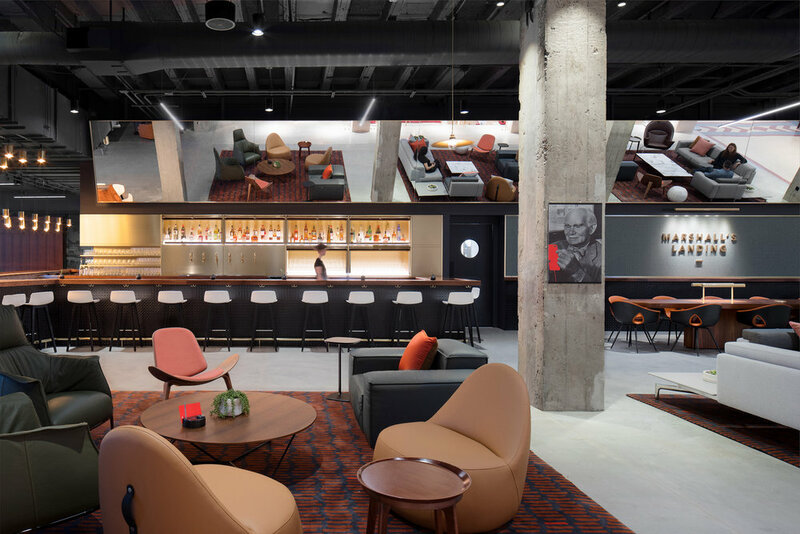 The renovation spaces are modern and visually integrated with the building’s historic character.